President of Armenia’s Investigative Committee Hayk Grigoryan on Tuesday received Christoph Poirel, the head of the Council of Europe’s Human Rights Directorate, to discuss the reforms in the sector. According to a press release by the Committee, Grigoryan briefed the European official on a range of projects aiming to increase effectiveness of inquest procedures, adding that some of the initiatives are still under implementation. Expressing his support to the projects, Mr Poirel inquired of the detention-related procedures as a measure of restraint in Armenia. Grigoryan elaborated particularly on the past years’ statistics, noting that the number of individuals facing pre-trial detention decreased annually over the period. Grigoryan emphasized that neither the political leadership nor the law enforcement authorities pursue policies aiming to overcrowd the prisons. 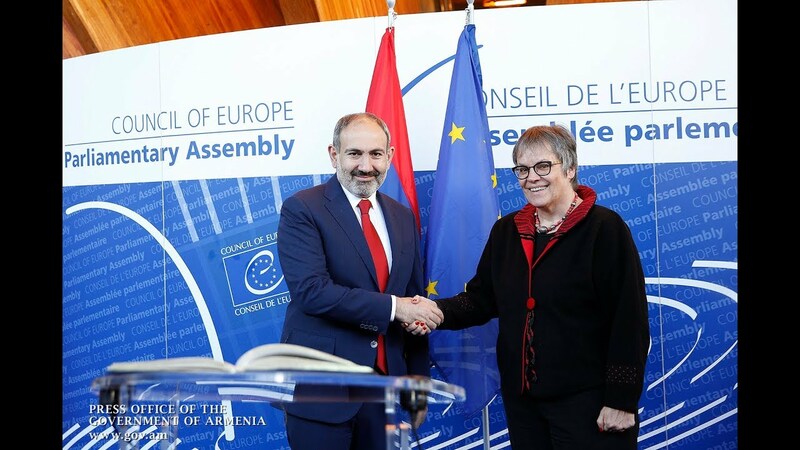 He cited Prime Minister Nikol Pashinyan’s statement highlighting the Armenian government’s respect for human rights to rule out pre-trial detention without legally justified grounds.